The DH has been given a two-month deadline to explain last year’s generics price increases, but is anything going to change for pharmacists? The latest instalment in the sector’s long-running struggles with generic pricing started in September 2017, when the Pharmaceutical Services Negotiating Committee (PSNC) pushed for “urgent discussions” with the Department of Health and Social Care (DH) about the “catastrophic” effect of generics shortages – caused by the temporary closure of two manufacturing sites – on contractors' cashflow. By May, the British Generic Manufacturers Association (BGMA) had told C+D that while the generics shortages had “pretty much” been rectified by other manufacturers “filling the gap”, prices remained unstable. 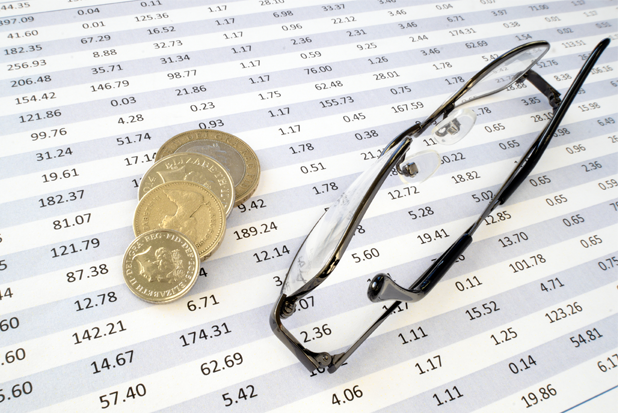 Fast forward to June, and a National Audit Office (NAO) report into the “unexpected increase” in generics prices in 2017 referred to government evidence of “unexpected increases in wholesalers’ margins, which [the DH] could not fully explain”. The following month, representatives from community pharmacy, the DH and NHS England were called in front of the Public Accounts Committee (PAC) – the parliamentary office responsible for scrutinising government spending – to get to the bottom of the NAO’s investigation. What has the DH done about generics prices? The DH claimed to the PAC that it did not have “any concrete evidence” to explain why wholesalers’ margins had increased, but said that once it had “absolute insight into how the different parts of the supply chain were contributing to the problem” it “immediately took action”. The DH insists that new regulatory powers granted to it – which came into effect in July and make it mandatory for manufacturers, importers and wholesalers to provide the DH with information on the medicines they sell (see more on the DH’s new powers below) – will allow them to “spot those trends and then investigate what is causing them considerably quicker”. However, the MPs on the committee were left unconvinced that the DH “had a clear plan on how it would use the new powers” to prevent generics supply and pricing issues in future. What are the DH’s new powers to control generics prices? Under the Health Service Products (Provision of Information and Disclosure) Regulations, manufacturers, importers and wholesalers are required to provide the DH with information about their purchases, and NHS sales of generic medicines and special medicinal products, every quarter. Those in the supply chain are also required to notify the DH of discontinuations and medicine supply disruptions and, if required, to provide further information within 24 hours. ensure value for money and availability of adequate supplies of health service products. The PAC says it is “yet to be convinced that the [DH’s] new powers, and accompanying regulations, are sufficient to enable it to act effectively should similar price rises happen again”. What is the DH required to do? 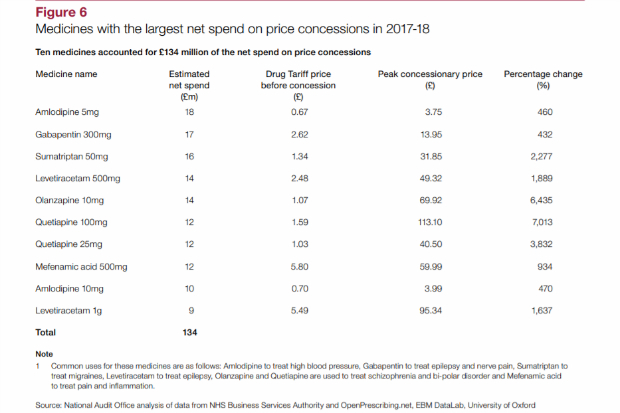 In its latest post-hearing report, published this month (October 12), the PAC noted that during 2017-18, NHS England spent an additional £315 million to fund higher prices for generic medicines – seven times higher than the previous year – and that 10 medicines – including gabapentin, quetiapine and amlodipine – represented half of this additional spend. MPs noted that “while no instances of patient harm have come to light, we were concerned to hear about the frustration and distress some patients experienced, and the extra efforts that pharmacies had to make to get medicines that were in short supply”. NHS England and the DH should “establish clear and timely information flows… between each other and local bodies to identify and inform about generic medicines supply and/or pricing issues”. The DH should also “release updated guidance to CCGs that sets out contingency plans to mitigate the financial impact…if there is a repeat of these unforeseen price increases”, the PAC said. By September 2019, the DH should conduct “an assessment of how well the provisions for companies providing estimates and notifying the DH of an impending shortage are working”, the PAC added. 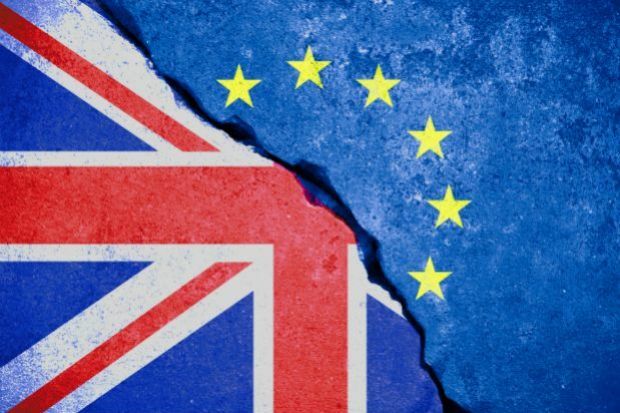 The PAC highlighted that Britain’s departure from the European Union (EU) will “pose further challenges to the supply of medicines” – which has been the subject of a Health Select Committee hearing this week. The PAC acknowledged that as “the manufacture of medicines relies on importing ingredients from outside the UK”, Brexit could exacerbate the generics supply issues. “[The DH] could not assure us of its plans to safeguard the supply of medicines after the UK has exited the EU, which is worrying given that this exit is fast approaching,” it concluded. In addition to its recommendations on managing the generics supply and pricing issues, the PAC told the DH to “share its plan for maintaining the supply of medicines pre- and post- the UK’s exit from the EU, and confirm how it will ensure that patients will be able to obtain the medicines they need”. Do wholesalers have to take any action? The PAC made no specific reference to wholesalers in its recommendations to the DH. But the DH said it hopes its new regulatory powers will help plug the “weaknesses in its information-gathering powers and a lack of transparency in the market” – which could go some way to explaining why wholesalers’ margins rose at the same time as the generics price increases. While the number of monthly price concessions has significantly dropped since last November’s peak of 91, instances of generics supply and pricing issues are still regular occurrences – as pharmacy owners will attest to. With Brexit just five months away, and threatening to create further challenges for community pharmacy, the sector is waiting to see how the DH complies with each of the PAC’s recommendations – and whether its new regulatory powers will finally bring a resolution to this long-standing problem. What action would you like to see taken to tackle generics price rises? The best action to take would be to sell up and leave the mess behind you. If only it was that easy! If the DH are recognising the frustrations of contractors, why are they then making it worse with more clawbacks and cuts?